This course only runs once per year – book early to avoid disappointment! £300 per person, inc VAT. Signup to our newsletter below to be the first to know when the next Creating The Fantastic Practice course starts, and benefit from the early bird discounts! 15 guaranteed ways to enhance your business in one day! This one day course has been delivered over 6 times in the UK and Ireland to help support the development of your business. If 2018 is flying by and left you despondent due to a lack of business development then this course is for you! If you have achieved a great deal but do not know what to do next year then this course is for you! If you are unclear about where to go in business and need a guiding hand then this course is for you! Creating the fantastic practice has been delivered over 6 times through the UK and Ireland and is a one-day course for business owners, dentists and managers. These topics will be delivered to you in a fun and entertaining style where to lectures are short and punchy and get straight to the point! 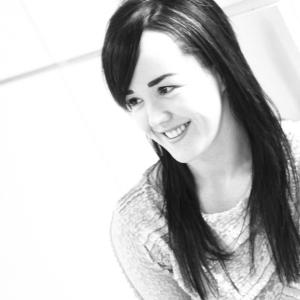 Laura has been successfully working with dentists and their teams since 2005 and through her own company since 2008. She has a 'sleeves rolled up' attitude and thrives in her unique hands on style of delivery. 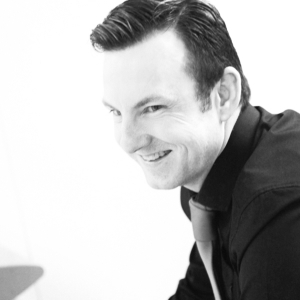 Michael has a business diploma in Distribution Management and has over 15 years' experience as a Practice Manager. He also has over 7 years' experience working as a Treatment Co-ordinator and is a qualified and GDC registered DCP. etc.venues Marble Arch is located on Edgware Road in the heart of the West End. When you exit the station, turn right on to Oxford Street and then second right on to Edgware Road. etc.venues Marble Arch is in Garfield House, on the right hand side next to the Tescos. Paddington Station is approximately 20 minutes walk. Use the Praed Street exit and turn left on to Praed Street and continue until you walk on to Edgware Road. Turn right onto Edgware Road and continue towards Marble Arch. etc.venues Marble Arch is at the other end of Edgware Road on the left. Alternatively bus routes 36 or 436 go from outside Paddington Station on Praed Street and on to Edgware Road and takes approximately 10 minutes to Marble Arch. etc.venues Marble Arch sits on many bus routes including 7, 10, 73, 98, 137, 390, 6, 23, 94, 159, 30, 94, 113, 159, 274, 2, 16, 36, 74, 82, 148, 414, 436. There is a NCP car park situated within close proximity to Marble Arch – visit www.ncp.co.uk for more details. The nearest “Boris Bike” docking station is on Edgware Road / Marble Arch. Sign up to our newsletter to be the first to know about our future courses. Please Note: In order for us to contact you and provide a service, this form collects all required field data.